You know Nona and Papa. They go for a walk every evening. Have done for, they claim, 44 years. 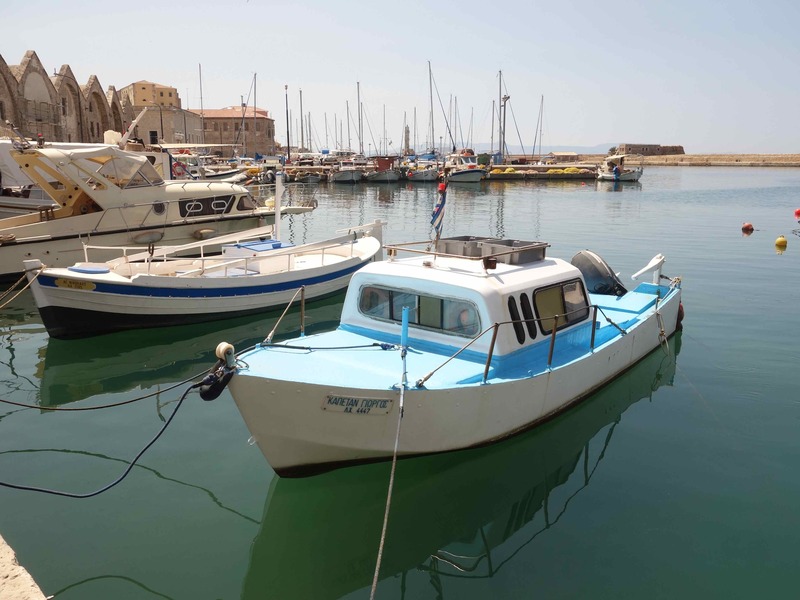 So, here in Chania, we walk around the old Venetian harbor at least once a day. Sometimes, we go in the morning too. You know what we see. Right, a lot of boats. Boats of all kinds too. I thought I’d show some to you. Here are some working boats. They’re “working” because they’re used to go catch fish for the market. You can see some of their fishing nets piled up there in the center of the photo. 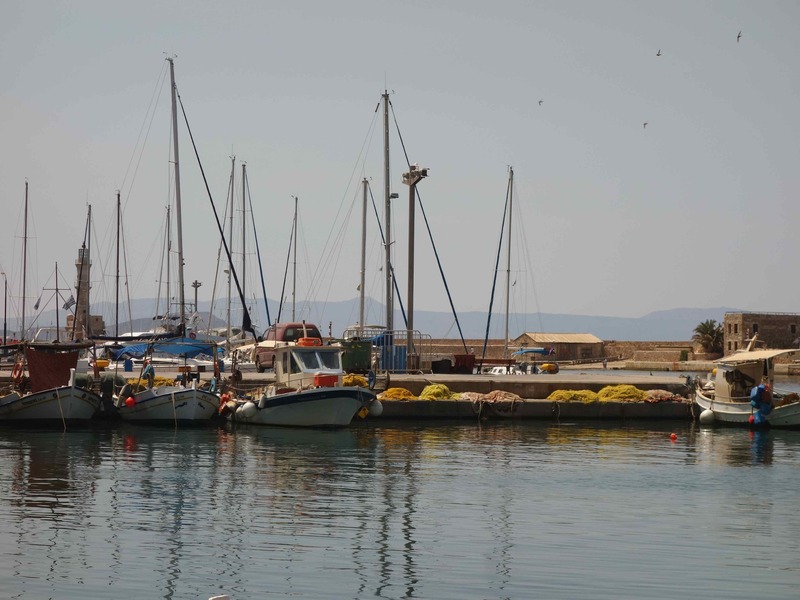 Sometimes when we walk by those boats, oh girl, you wouldn’t like the smell! Papa said that whoever owns this boat is a “clever adapter.” A what? Nona said that she did a “double take” when she saw this boat being paddled into the harbor by all these people. It’s really a raft. 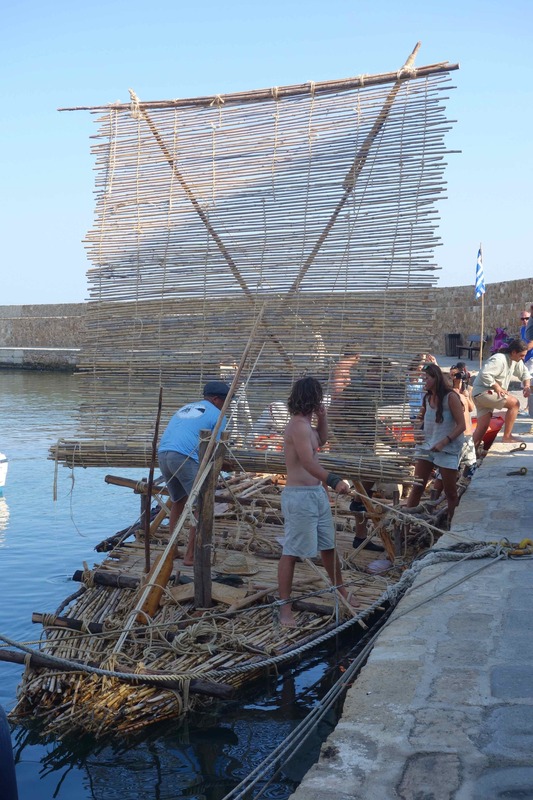 The group on this raft had made it with their own hands out of reeds and with stone age type tools, and then they sailed it for 48 hours from a town on the mainland of Greece to Chania, Crete. They called themselves “The First Mariners,” but, of course, they weren’t. Something about a boat cruising by an old light house tower has a calming effect on me. I could sit and watch that kind of thing all day. Actually, I tried to do that, but Papa insisted, “Come on the day is still young. We have more walking to do. Have to get in our 10,000 steps!” I got an idea. 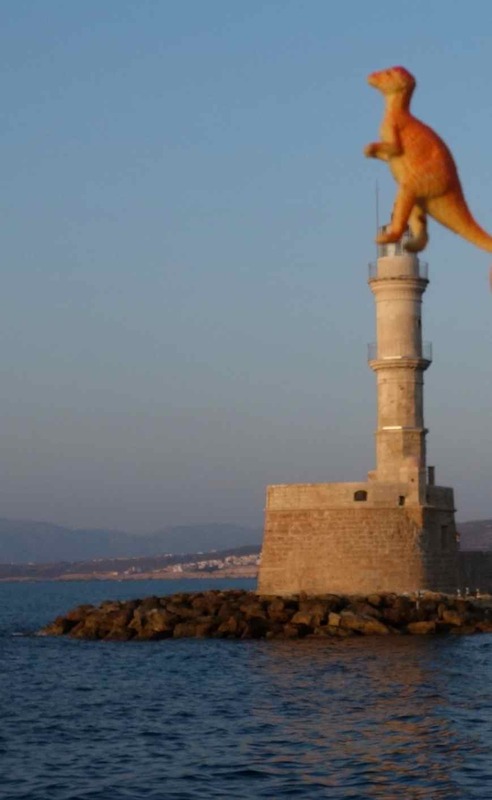 “OK, let’s go over their to the lighthouse tower. You hold me up so I can sit on it for the view, and, Nona, you stay here and take my picture.” To my surprise, they did it! Wow, on a clear day, I could see forever, maybe all the way to the Greek mainland. Here’s my favorite photo of that lighthouse tower. Nona took it when we went walking at sunset. I really wish you were here to go for walks with us. You’d like seeing all the boats, but, in some places, you might have to hold your nose…just for a little bit. I have a new word. Archeology. Know what that is? It’s this kind of thing. That’s a “dig” where scientists found what is left of a Minoan town here in Chania on Kastelli Hill. 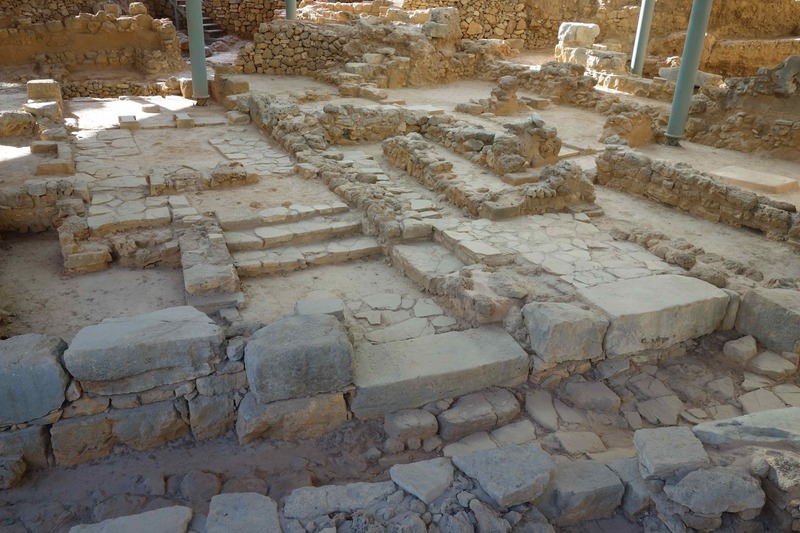 They say this Minoan town goes way back to 4000 BC. Let’s see, that would be about 6000 years ago, right? Look they had stone side walks and town squares. Nona and Papa showed me an artist’s drawing of what this Minoan town would have looked like. It looked very modern and comfortable. I don’t think Nona would have liked it: no Replica Edition of The New York Times on her iPad. Also, no motor-scooters for me to get over those cobblestones. Still, I thought the town plan looked really people-friendly. Of course, I’m not “people,” but I like to think the Minoans would like me, too. My new word, archeology, if I got it right, is the study of human activity in the past by looking at what ancient people left behind. They left a lot of stuff behind, let me tell you. At the archeology museum we saw stones and bones and pottery and jewelry and even environment remains like seeds and salts. I guess if you look deep under ground in some places, you’ll be surprised to find remains of places where people lived a long time ago. 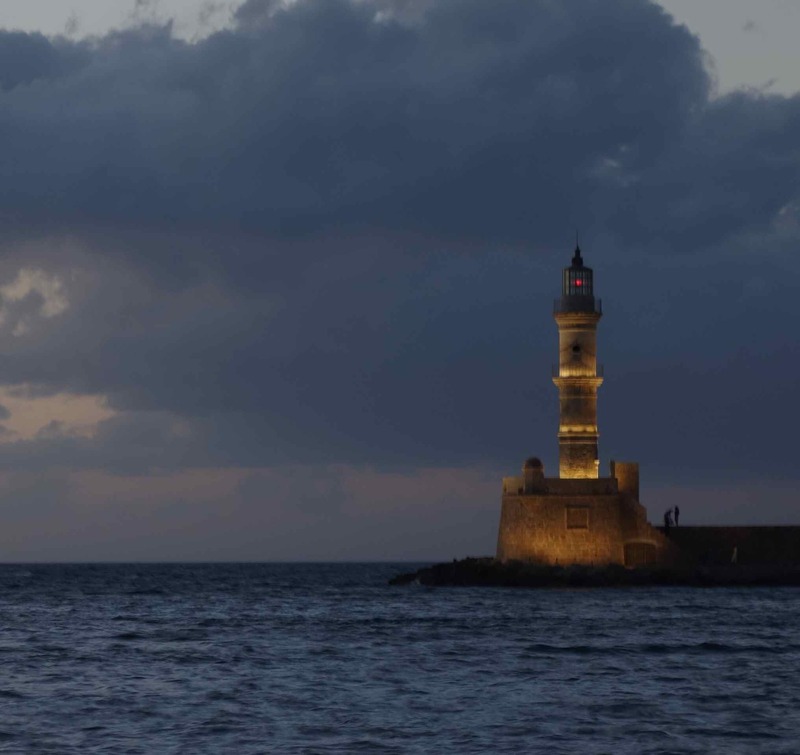 Chania seems to have a lot of that. What do you think you’ll leave behind to be found by people thousands of years from now? Hey, I didn’t even have to look underground to see the remains of the old Venetian town here in Chania. Here’s a really big wall that they left behind, maybe 600 years ago. Can you see the guy up top who is fishing? That wall is holding up pretty well don’t you think. Can you see that guy up on top fishing in the harbor from the wall? I can tell you he’s a big guy, but the wall is so much bigger that the guy looks tiny. Speaking of looking tiny. Look at me. I played “Hide & Seek” on this old Venetian wall. 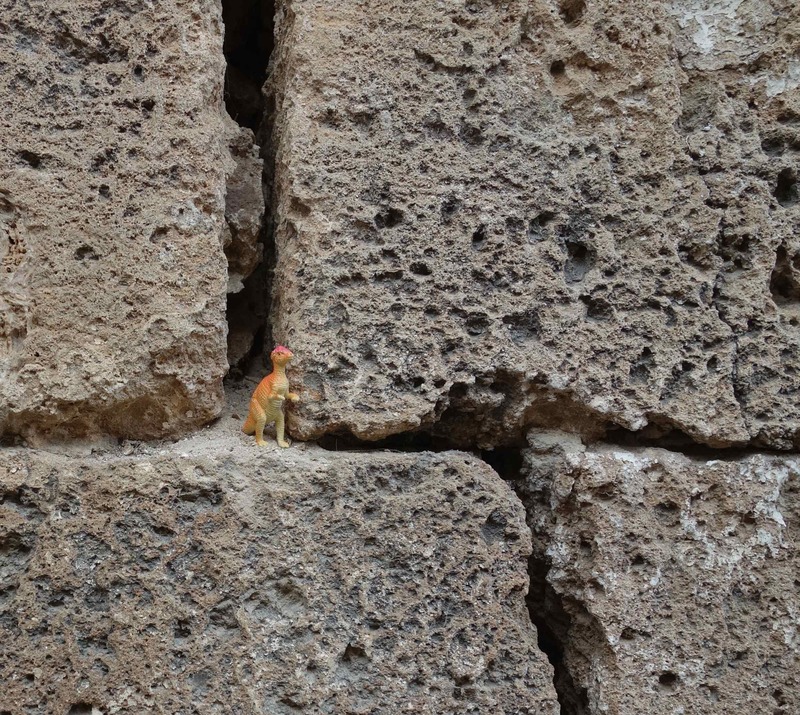 I’m so tiny and the wall is so huge that I nearly disappear in the space between the stone blocks! I had fun running along those seams in the wall and hiding from Nona and Papa. Papa said that we were playing a game. It’s called “hide and seek.” You can play that almost anywhere. Fun. Hi. Let me ask you a question: how many giants have you seen in your life time, and how tall were they? Now, see if my answer beats yours. Here I am getting a “soleful” view. An eyeful of sole or a soleful view, whichever. So, now, I’ve seen one giant, and that’s enough for me. Yeah, that’s my soleful view. Know what I mean? 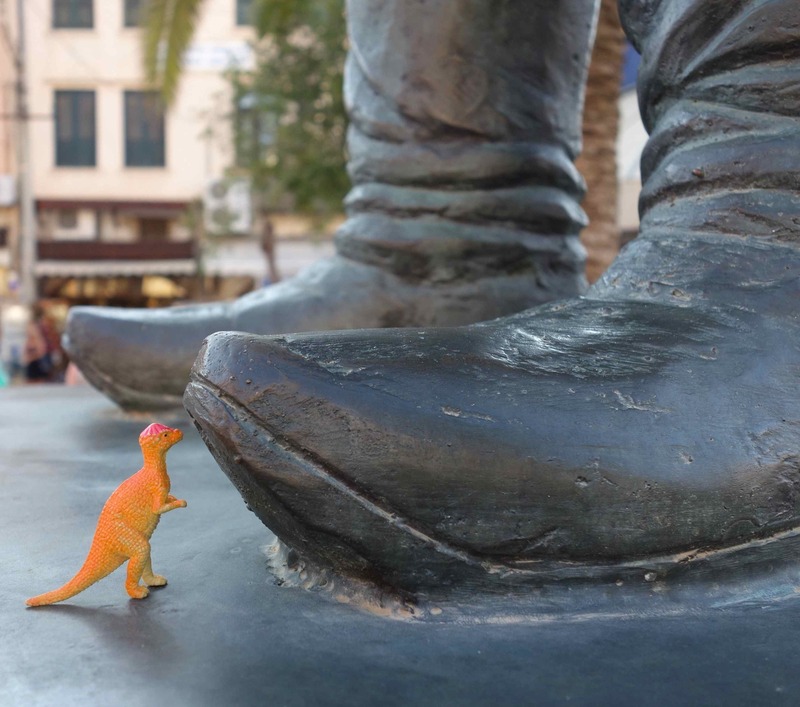 Now, just imagine how big that guy wearing that shoe is. He must be a few hundred times bigger than I am. “Hey, little fella, good thing you moved in time. I didn’t see you and could have flattened you,” the giant said. He was so big that his voice nearly knocked me over. “Sorry, about that,” he said and took a step right over me and disappeared down the cobblestone alley. I yelled back, “That’s OK, but I’m not a fella. 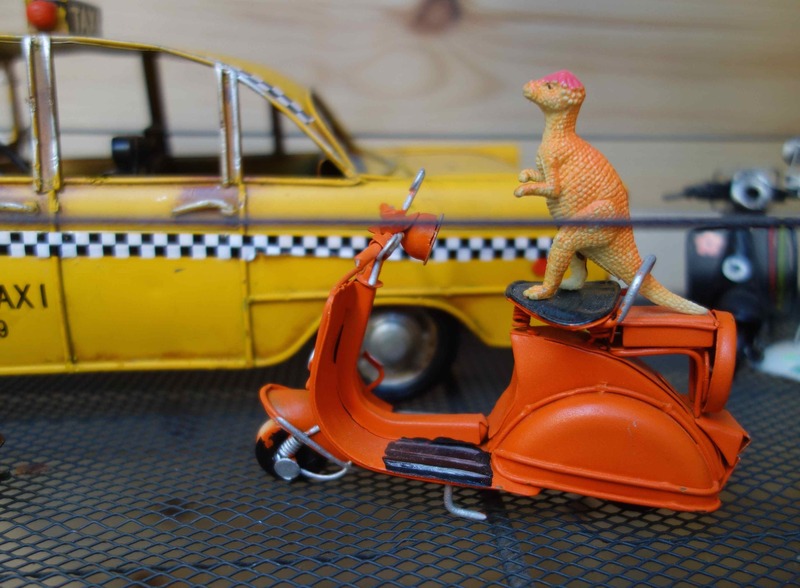 I’m a girl, and an iguanodon! Know what that is?” but he just disappeared. You know what else can do a lot of damage? Cobblestones. I’m racing to keep up with Nona and Papa on these cobblestone streets of Chania. 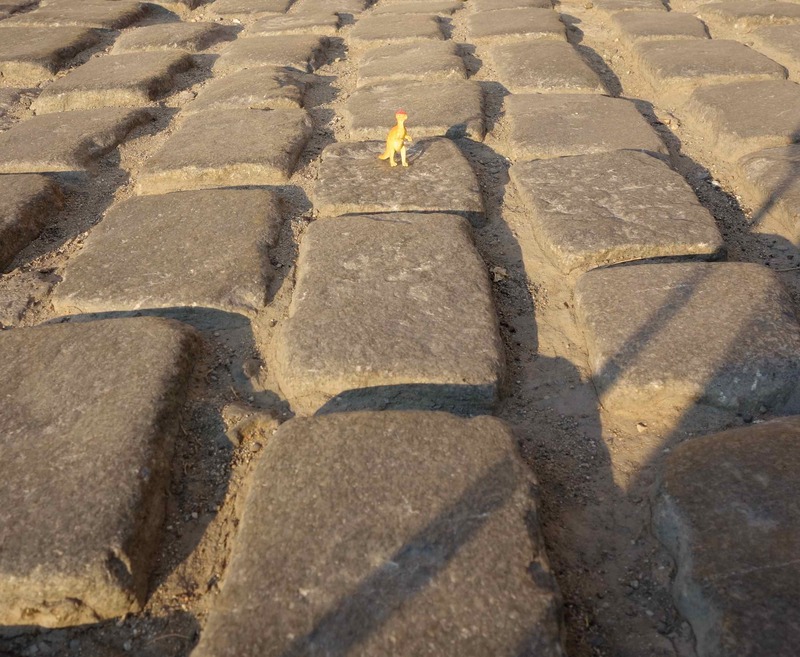 Look at these cobblestones, would you? Nona and Papa think the cobblestones are pretty, but I just see them as obstacles to a good walk. I get lost in the maze of crevices between the stones. Then they have to come back to look for me. So far they’ve always found me, but we’re worried that one day, I’ll just disappear in a cobblestone maze. That’s a problem with being little like me. Hey, problem solved! We were walking by a souvenir shop here in Old Town Chania, and Nona saw something on display. She said, “Solbit, I think we found what you need, and it’ll fit in my purse with you, too!” What is it? Will a motor-scooter be the answer to her problem? A motor-scooter just my size! It gets me up high enough to see where I’m going, and it’s fast enough that I can scoot (that’s why they call it a scooter, right?) between the cobblestones fast enough to keep up with Nona and Papa. Papa said he once had a motorcycle, and he knows I’ll enjoy driving this motor scooter. Just one thing holding us up, now. They have to find me a helmet. I think they said it has to be a size xxxxxxxxxx small, and those can be hard to find. Also, I have to practice driving it, because balancing on two wheels is tricky at first. Can you ride on two wheels? Remember my last email to you? I had told Nona and Papa that I didn’t want to go to Crete. Well, we didn’t go to Crete. You might think that means we’re staying in Tanzania. You’d be wrong. 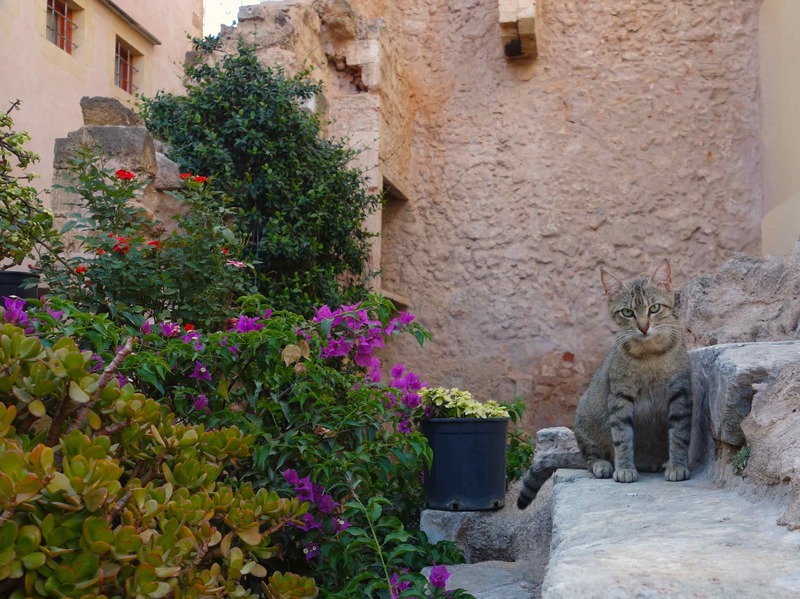 Oh, no, they decided to stop in one of their favorite cities, Istanbul … on our way to Crete. 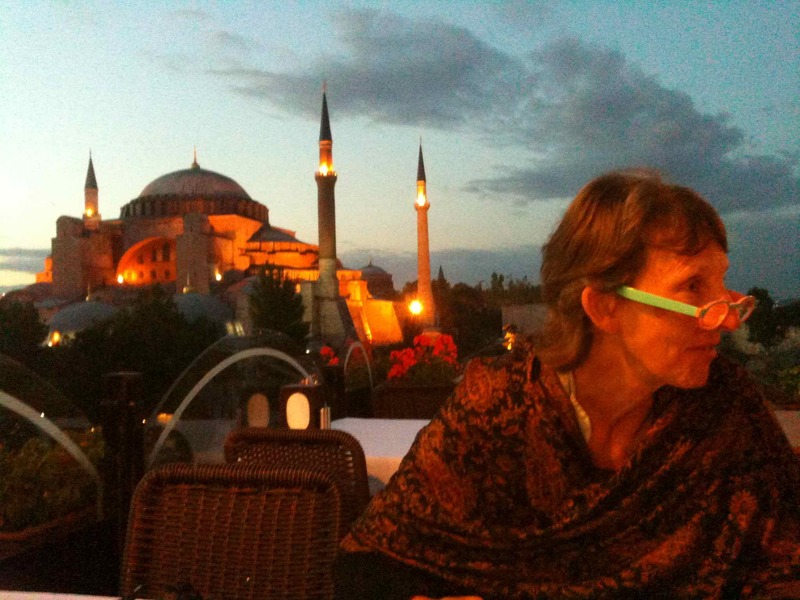 Nona at a roof top cafe and behind her the Aya Sofia, at sunset. I miss Tanzania, but — and this is good — Istanbul is really neat. Look at our neighborhood, Sultanhamet, in that picture. Wow, don’t you love it! By the way, Istanbul is in a country called Turkey. I thought turkey was a bird, but it’s also a whole country! Who knew? 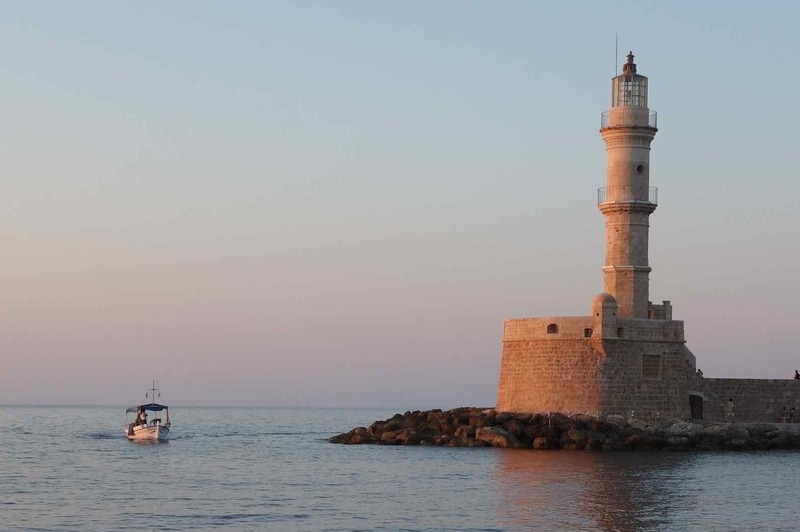 So far, I have to admit that our little place in the Old Town of Chania is comfortable. You might say I’m tickled to be in Crete. Look. 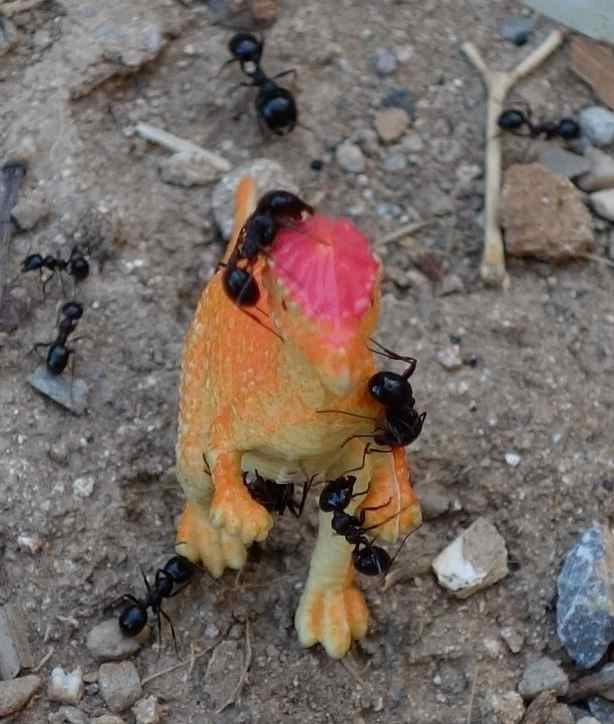 My harvester ant friends loved to climb on me. Their little feet tickled me. Also, their other animals seem to be more friendly — Papa says “tamer” — than the ones in Tanzania. See what I mean? 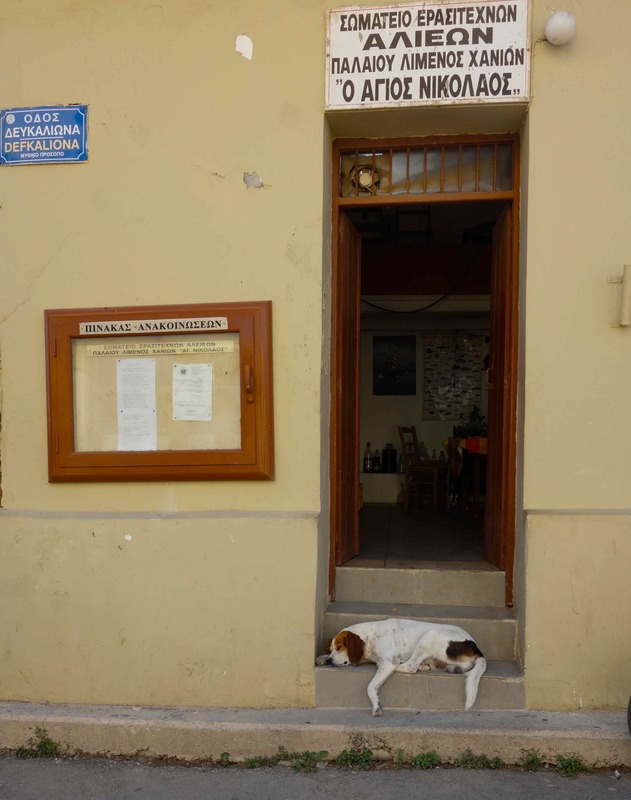 I decided to let a sleeping dog lie, and it ignored me, too. That dog and this cat even sleep next to each other on our street. My neighbor, the cat, stared at me a lot. Guess it doesn’t see a dinosaur very often. 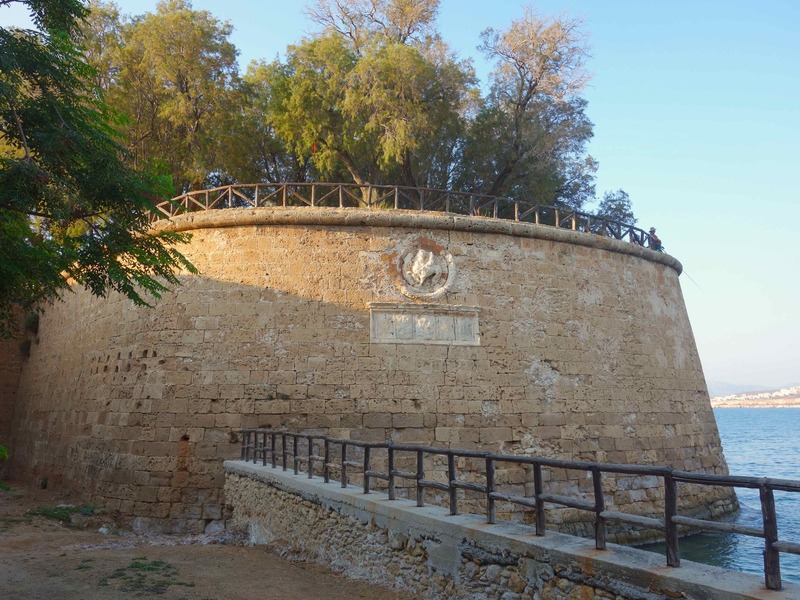 We went walking in some ruins of the Old Venetian fort. Yeah, way back a few hundred years ago people from Venice ran this place. They left behind some beautiful stone buildings. 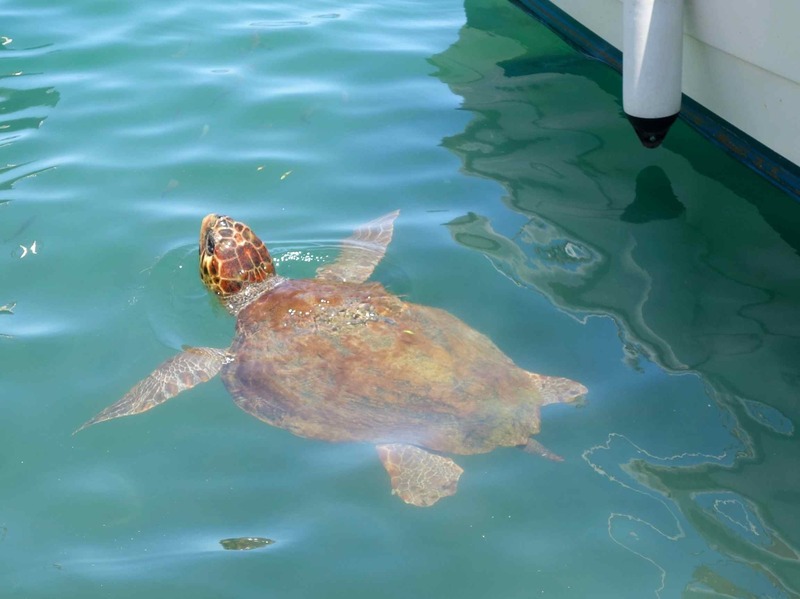 Harry the Loggerhead Sea Turtle taught me a thing or two, after I apologized. Then, a little further on our walk, we saw a bird that I’ve seen before. 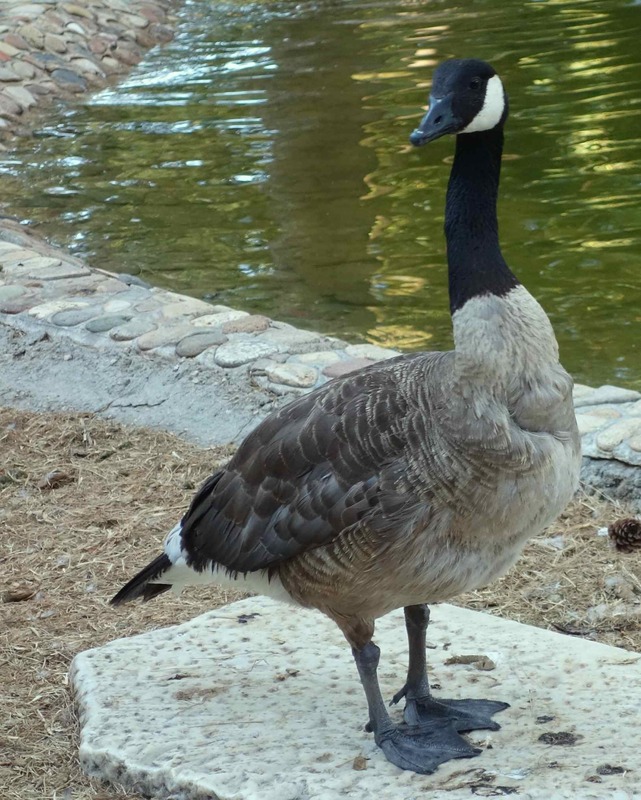 I was careful not to say Ms or Mr Goose. I just yelled, “Hello, Goose!” It flew away then. Guess I yelled too loud or maybe it was just me being a dinosaur. This goose flew away. I guess I scared it. It probably had a fear of dinosaurs, and my yelling didn’t help. It probably didn’t know that we iguanodons are vegetarian and wouldn’t hurt a goose. So, in just one little walk around town, I got tickled by ants, ignored by a dog and a cat, offended a tortoise, and scared a goose. Pretty full day, right? I wonder what’s worse, offending someone or scaring someone? I promise to always try not to do either.